There are a few key things needed when you are looking for a well-fitting surround and hearth for your fireplace. The first is a brand you can trust. Monessen has you covered there. Second is a classic look that you can optimize to match your decor. With the Monessen Mantel Surround and Hearth for 32" Fireplaces, you can put a check there as well. 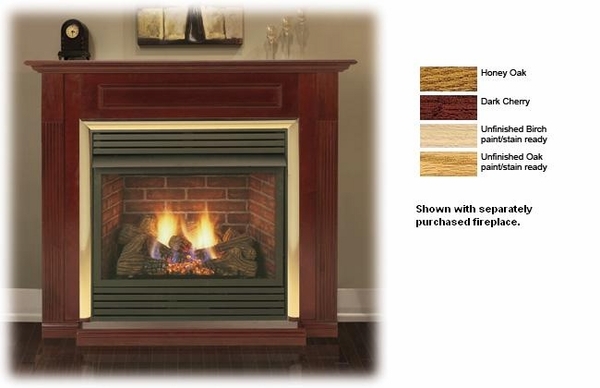 Available in dark cherry, honey oak, and unfinished oak, this hearth and mantel set will fit in your home beautifully.